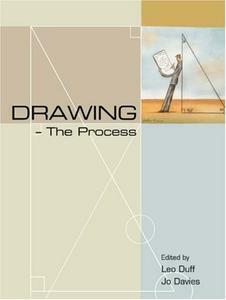 Jo Davies, Leo Duff, "Drawing – The Process"
Drawing - The Process is a collection of papers, theories and interviews based on the conference and exhibition of the same name held at Kingston University in 2003. Much debate and research is currently undertaken in this area and it is the intention of the book to galvanize this, while providing a vehicle for deep enquiry. The publication will firstly comprise a collection of refereed papers representing a breadth of activity and research around the issues of drawing within the broad context of art and design activity. 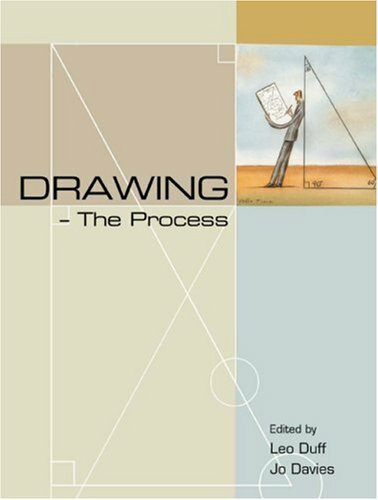 The second dimension of the book will be an examination of the drawing processes of high profile practitioners. The publication will encompass the best contemporary investigation of a subject pivotal to art and design activity, and should be recognized as a fundamental text for students at both undergraduate and postgraduate levels.